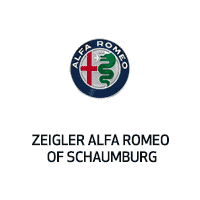 Learn more before taking this exciting model for a test drive at Zeigler Alfa Romeo of Schaumburg! You’ll control everything from music selection to hands-free calling via a 6.5-inch central display, which features Bluetooth, three USB ports, and – new for the 2019 model – standard Android Auto and Apple CarPlay for fast, effortless integration with your smartphone. You can parcel all those features together by taking advantage of the available Navigation Package. While most Alfa Romeo Giulia technology revolves around comfort, convenience, and entertainment, you’ll also find a wide range of features focused on keeping you safe. Whether thoroughly outpacing models like the Audi A4 when you hit the gas or presenting you with forward-thinking technology, the new Alfa Romeo Giulia feels like it’s in a class of its own inside and out. To find out more or arrange a test drive, don’t hesitate to contact us today.